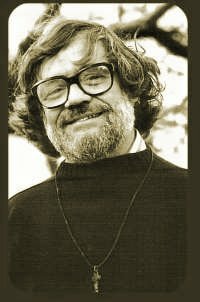 Edward Whittemore is the author of five wise and wonderful, highly imaginative novels, written between the years 1974 to 1987. His death in 1995 tragically cut short his writing career. He is best known for the four novels that comprise the Jerusalem Quartet, "Sinai Tapestry" (1977), "Jerusalem Poker" (1978), "Nile Shadows" (1983) and "Jericho Mosaic" (1987). An earlier book, "Quin's Shanghai Circus" (1974) is also well worth reading, as it contains, in the writing style and within the theme of the novel, the seeds of what was to come in the Jerusalem sequence, and is an excellent novel itself. All five of the novels had been out of print in English editions for over ten years, but Open Road Media published eBook versions of the Whittemore novels in English on 23 July 2013 and an Omnibus eBook edition of the Jerusalem Quartet in November 2013. More information on these editions is available at: http://www.openroadmedia.com/edward-whittemore. French, Dutch, Russian, Spanish, Italian, Portuguese, Danish, Greek and Latvian editions of some of the novels are available. Check out the covers page for cover images and information on these editions. I have been an enthusiastic fan of Edward Whittemore's writings since the late 1970s, which was when I first discovered his books. I am not alone. Worldwide there are many enlightened souls who feel the same way about the books as I do. I call them collectively "The Edward Whittemore Appreciation Society" - click here to read their contributions to the First Impressions page and sign up for the Message Board where the "society" have been discussing the books, on and off, for years. This site was first launched in August 2001 to address the lack of any substantial material on the mysterious Edward Whittemore. Since then more information has come to hand with generous contributions from people who knew Edward (Ted, as he was called) Whittemore when he was alive. Carol Martin has made available many photographs from her years of association with Ted, Tom Wallace contributed his and Judy Karasik's memoirs and Helen Bar-Lev has allowed me to reproduce her sketches from the time Whittemore shared her life in Jerusalem and the poems she wrote later about him. Others, like Jeff VanderMeer, have graciously permitted me to add their reviews. The Articles page has a comprehensive bibliography of reviews and press articles, many of them reproduced on this site. Various documents and oddities such as letters, a time line, a list of historical sources (many thanks to Jean-Daniel Breque for the time line & the who's who) and other stuff that doesn't fit anywhere else, can be accessed from the Miscellaneous page.
" Edward Whittemore was one of the great masters of magic realism. The fact that his work did not bring him renown in his lifetime is a shame and a travesty. He was truly one of the few writers I've ever encountered who through his stories, taught you how to see the world with different eyes, a different heart, and best of all, made your soul grow. Although he is gone, it is high time the world gave him his due. Tom Robbins? John Irving? Even God Vonnegut - forget 'em - read Whittemore"
Jonathan Carroll author of "Land of Laughs" etc. "One of the best-kept secrets in American literature, the novels of the mysterious Edward Whittemore are like bowls of hashish pudding: rich, dark, tasty, amusing, intoxicating, revelatory, a little bit outlandish and a little bit unsafe." Tom Robbins author of "Even Cow Girls Get the Blues" etc. "In the end, all I can tell you is this: If you believe in fiction much as you would a religion, or if you think that great works of fiction contain insights and wisdom that can literally change your life, or if you have known books that took you on strange but wonderful journeys, then you should read Edward Whittemore. He will not disappoint you." Jeff VanderMeer author of "Southern Reach Trilogy" etc.